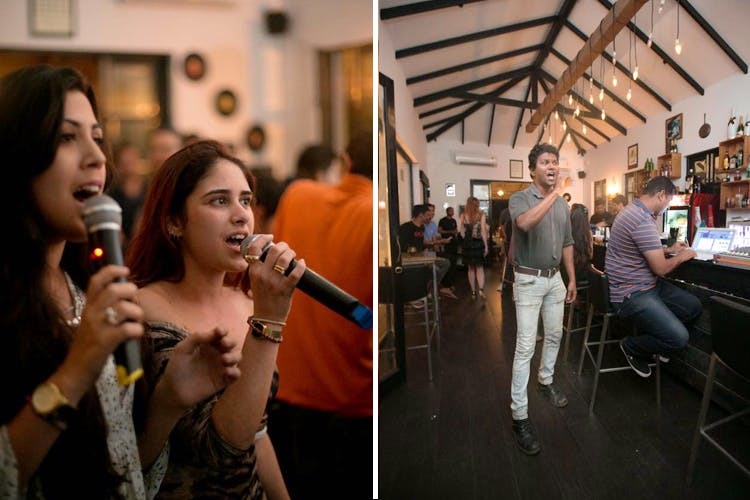 On Thursdays head to another local favourite, the Mojos Pub in Panjim, and get the beat going whilst you get your singing on. Mojos is the local pub with beer taps at each table and a place to find some of Goa’s locals belting it out. Plus they have a foosball table and other games to indulge in if singing is not your thing. The world-famous ‘Decades’ Bar as they call themselves do karaoke on Thursdays and Saturdays, with the Irish Val they say. Go there and find out if they also have Irish songs being sung. But usually is a favourite place for all the xpats that come and live here for 2-3 months. So expect to hear a lot of songs from the 80s and 90s. Fiplees in Benaulim, South Goa have been going strong with their music for some 11 years now. Besides regular live music, Fridays is when you go to sing for your supper. They play only English tracks and have some good and wholesone Goan seafood. Have a few drinks maybe if you need some Dutch courage to pick up the mic.